Nerdy Texts of Analog and Embedded Systems Wizardry » Blog Archive » WTPA v0.9 Gerbers, Hello World. WTPA v0.9 Gerbers, Hello World. The first thing on Narrat1ve, utterly uncommented like so much bad code. From the annals of history. Based on the notes in the old HTML for this site this would’ve been around this date, but who knows? 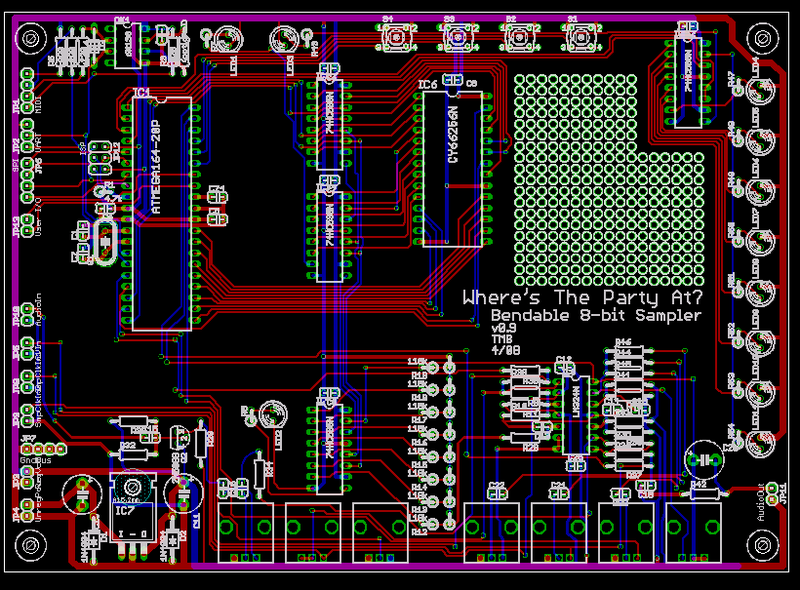 This was the old picture which headed up this page and is a schematic of the first beta WTPAs I made for Bent 2008. This entry was posted on Friday, April 18th, 2008 at 7:32 pm	and is filed under Uncategorized. You can follow any responses to this entry through the RSS 2.0 feed. You can leave a response, or trackback from your own site.